Susan Eernisse is Editor of The Chorister, the journal for church musicians published by Choristers Guild. She also currently serves part-time on the staff of First Baptist Church, Carrollton, GA, as Director of Children’s Music. Susan taught music in public and private schools for 20 years, and taught courses in music education at the college level for several years. 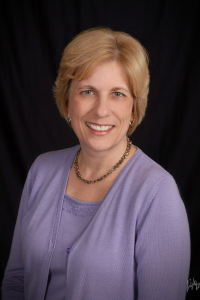 Susan is a veteran writer of children’s music curriculum materials, including work for Growing in Grace Children’s Music Curriculum, Lifeway’s Children’s Music Series, Dovetail Musicals, and Hal Leonard’s Sing and Celebrate series. She is a respected children’s choir clinician, and has served on the faculties of children’s music camps and festivals for many years. Susan is married to Dr. Glenn Eernisse, Associate Pastor of Music and Worship at First Baptist.